Japanese gardens play an important role in the conservation of bryophyte diversity. 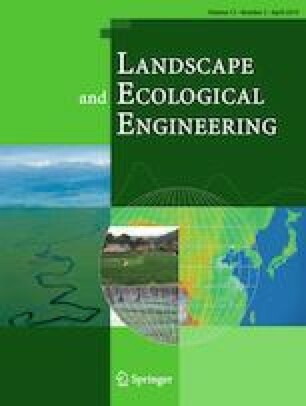 Previous studies have indicated that diverse garden landscapes and their maintenance as well as garden microclimates can be related to high bryophyte diversity, although it has not been examined how these microclimates differ from those in other land use types and how they affect bryophyte diversity. Therefore, this study analyzed the relationships among microclimate, garden landscape, and bryophyte diversity. The study sites comprised the renowned Saihoji Temple in Kyoto, Japan, and surrounding residential areas and forests. Seventeen 1-m-radius circular plots were established within the study sites, and bryophyte species richness and cover, landscape elements, and microclimates (temperature and relative humidity) were recorded in these plots. Sixty-seven species were identified, including four endangered species, and garden plots showed higher species richness and cover than surrounding areas. Garden microclimates were characterized by significantly lower temperature and higher relative humidity, which can be attributed to a combined influence of garden elements such as large vegetation cover and water surface. Notably, these microclimates can significantly and positively affect bryophyte diversity by mitigating drought stress. Thus, Japanese gardens featuring large vegetation cover and water surface can function as conservation sites for drought-sensitive species, increasing urban bryophyte diversity. Conservation of bryophytes might be beneficial to urban biodiversity and resilience reinforcement by promoting biological interactions among several species and improving ecological functions. The online version of this article ( https://doi.org/10.1007/s11355-018-0354-1) contains supplementary material, which is available to authorized users. I would like to thank Mr. Shugaku Fujita, a chief priest in Saihoji, and the Japan Broadcasting Corporation (NHK) for their cooperation with this study. This study was funded by the Special research funds (C2) from Fukui Prefectural University.